Ativan is a prescription benzodiazepine or tranquilizer. Ativan is prescribed for panic attacks and acute anxiety. While barbiturates, a close cousin to benzodiazepine drugs like Ativan, is used for generalized anxiety and sleep disorders, Ativan is for the sudden onset of anxiety. The medication slows down central nervous system functions which become exaggerated during an acute stress response or panic attack. While the drug is incredibly useful and has improved the quality of life of millions, Ativan can be habit-forming and require Ativan withdrawal treatment. People who abuse Ativan will often mix the drug with alcohol or opioids. Since all three of these substances suppress vital functions like breathing and blood pressure, people can overdose. Emergency room visits for benzodiazepines concurrent with opioid use are on the rise in the United States. In 2004, 18% of opioid overdoses involved the misuse of Ativan, and that number jumped to 31% in 2011. People will abuse Ativan because it gives them an addictive feeling of euphoria, and unfortunately, benzodiazepines can cause a quick dependence. Once a dependence is formed, abusers will experience painful and possibly dangerous withdrawal symptoms. Fortunately, there are safe and effective resources available for people who wish to get clean from an Ativan addiction. Medical detox facilities and rehab centers can lessen the severity of Ativan withdrawal and help people receive ongoing treatment to prevent relapse and treat underlying, comorbid mental health conditions. What is the timeline for Ativan withdrawal? Benzodiazepines like Ativan linger in the bloodstream for much longer than other drug classes. Once people stop taking Ativan, they may not experience withdrawal symptoms for a few days. In some cases though, people can experience withdrawal symptoms within the first 24 hours after cessation. Withdrawal symptoms will appear within days 1 -4 after the last dose. Usually, symptoms are mild at this point, but within the first week, symptoms become severe, and severity usually peaks within the first two weeks after the last dose. Mild withdrawal symptoms can linger for several months to years after cessation. What are the physical symptoms of Ativan withdrawal? What are the psychological symptoms of Ativan withdrawal? What is the difference between cold-turkey versus medical detox for Ativan withdrawal? The medical community does not recommend that people with a benzodiazepine addiction attempt to go cold-turkey. A sudden cessation of drugs like Ativan can cause dangerous, elevated body temperatures, which can cause a seizure. Without swift and adequate medical treatment, organ systems can fail and the person can go into a coma and eventually die. Even if someone manages to avoid this danger, they are at increased risk of relapse if they attempt to quit on their own. 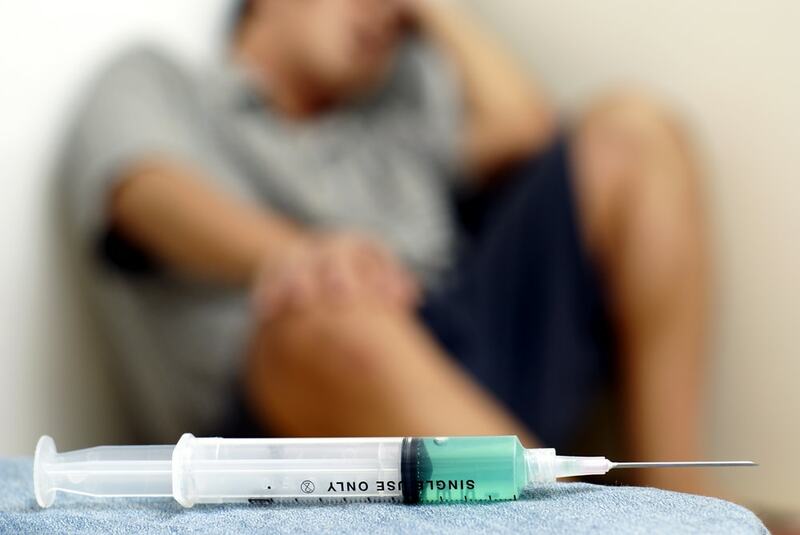 Without medical help and supervision, people trying to stop drug use at home are surrounded by people, places, and things that remind them of their addiction. Once the severe, painful withdrawal symptoms set in, most will do anything to make the symptoms stop. This can include going back on Ativan or self-medicating with alcohol or other drugs. Also, without help from a medical detox center, people who manage to quit Ativan are left without ongoing support, increasing their risk of relapse or developing untreated depression. What is safe to take during Ativan detox? In a medical detox center, doctors are available 24/7 to assist patients with withdrawal symptoms. They can prescribe beta blockers to minimize the damage to the cardiovascular system and SSRIs and SNRIs for mood stabilization. Also, since Ativan can’t be stopped cold-turkey without the risk of severe complications, doctors can give people low doses of Ativan or longer-acting benzodiazepines to safely taper them off the drug. Tapering off lessens the severity of withdrawal symptoms and isn’t as harsh on the body as a cold-turkey detox. It isn’t safe to suddenly stop taking Ativan for detox, nor is it safe to lessen the withdrawal symptoms with alcohol or dangerous, illegal drugs. In a medical detox center, patients are kept in a safe and secure environment where they don’t have access to substances that are tempting but will harm them. Also, since Ativan cessation will cause anxiety and panic attacks, patients shouldn’t drink anything caffeinated while undergoing detox. What happens during the Ativan withdrawal process? First, patients are fully accessed for underlying mental and physical health problems and polydrug use. Patients may be monitored for signs of cardiac distress during the early phases of Ativan detox. For the first few weeks, patients are kept in a secure facility where doctors can give them safe medications to help lessen the severity of withdrawal symptoms. Patients, doctors, therapists, and social workers team up and formulate an ongoing, customized maintenance plan for the patient to treat underlying comorbid issues and prevent relapse. In detox and rehab, patients are given the tools to live a drug-free life outside of the facility. How is Ativan withdrawal different than other drugs in its class? Ativan withdrawals tend to come with a higher risk of experiencing insomnia than other benzodiazepines. This can be an excruciating experience. But in a medical detox facility, doctors are equipped to handle and assist patients with some of the more severe withdrawal symptoms like insomnia. What factors can affect an individual’s Ativan withdrawal symptoms? Many things can influence how long a person experiences withdrawal, what types of symptoms they’ll have, and how severe they’ll be. A person’s age, weight, metabolic rate, how long they’ve been using, and if they’re a polydrug user can increase or decrease symptom severity and longevity. Also, people who don’t get help from trained professionals for detox are at high-risk of experiencing lingering, ongoing symptoms that can last for months or years. It’s crucial to get help during Ativan detox to decrease the risk of relapse and severe medical complications.